According to the NOAA , Maximum temperatures in the USA were -0.77F colder than the 1901-2000 average. 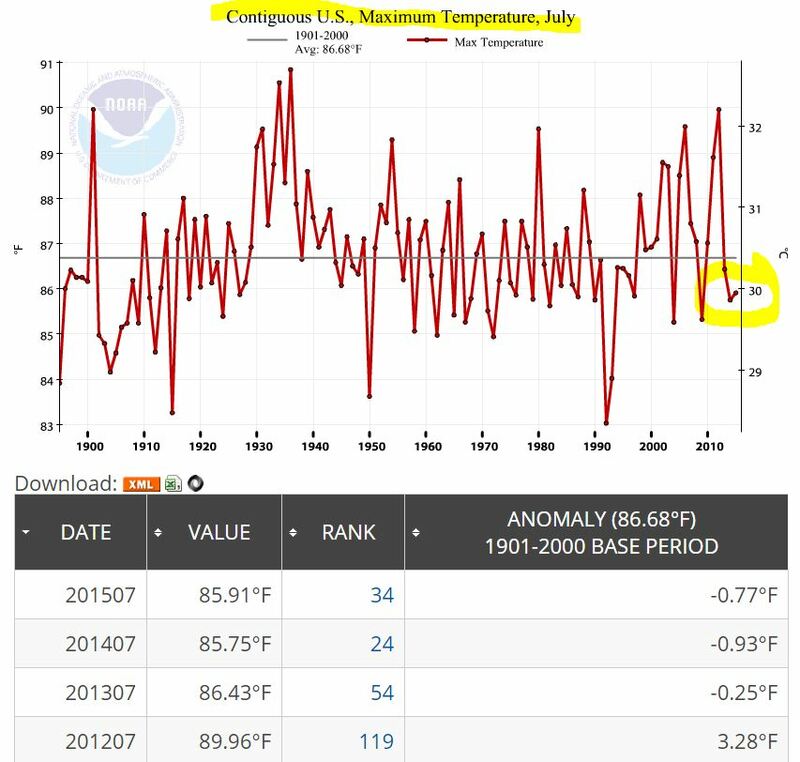 1936 was ranked 121 (121 is hottest) and was 4.93F hotter than 2015. 2015 was only ranked 34.